I’m THAT person, you know the one that heads over to the dessert table before even glancing at the entrees. If I didn’t have kids, I would deem every day opposite day, where desserts are the first meal. The sad truth is I am not a cook or a baker, I’m just not that handy in the kitchen. So, I married someone who is. 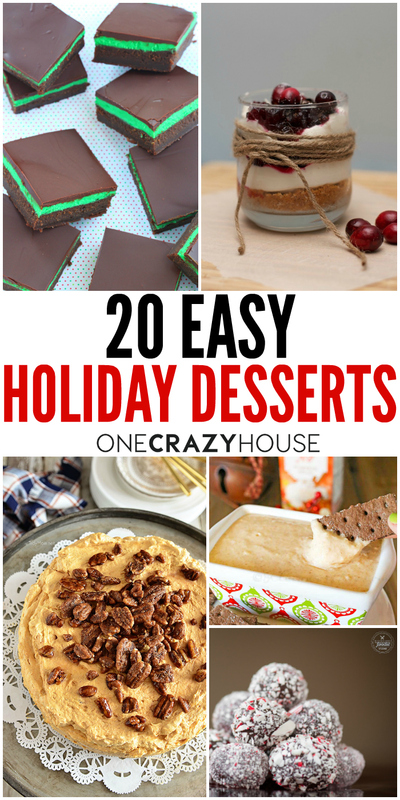 But before I jump too far down the rabbit hole, let’s get back on track…I’ve found a few easy holiday desserts that I might be able to pull off. 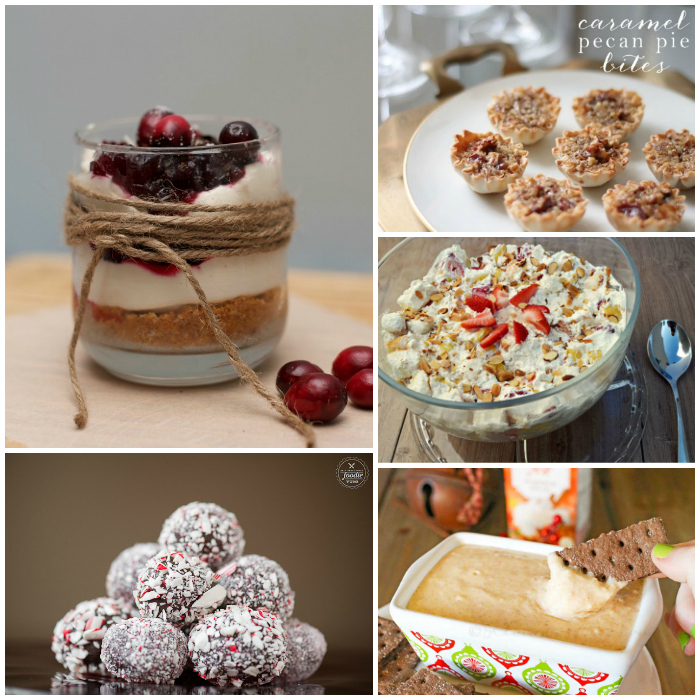 From no-bake to quick & simple recipes there are easy holiday desserts for everyone. Best of all, they all look amazing! I’ve read through each one and if I think I could pull it off then anyone can. I might have to test out these 3-Ingredient Dessert Recipes while I’m at it. Shaken Together Life’s No Bake Eggnog Cookies yield 45 – 50 cookies, which is the perfect size batch for holiday cookie exchanges or family dinner parties. 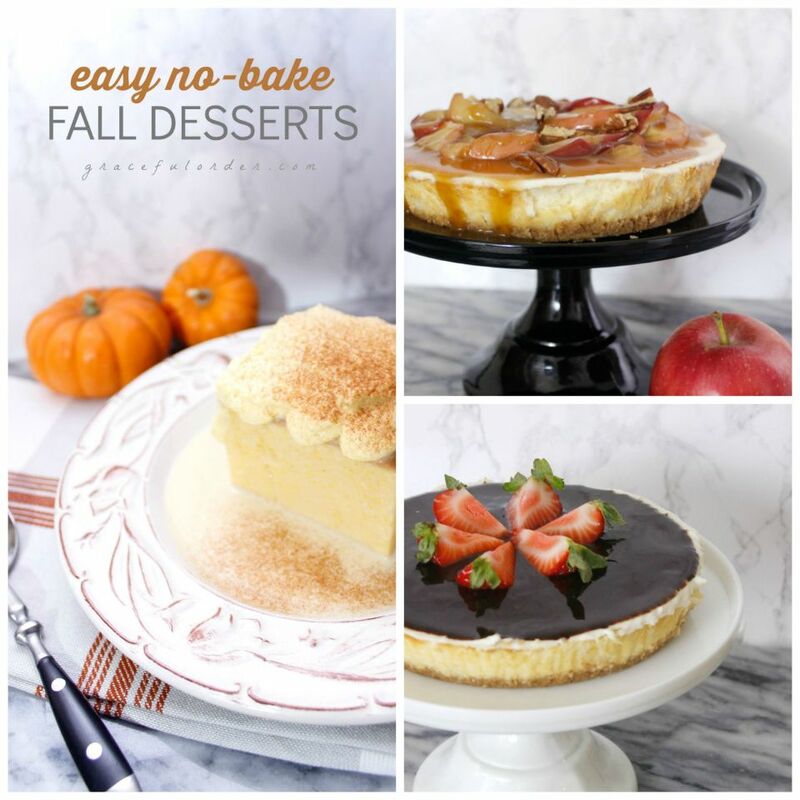 I couldn’t pass up a Graceful Order’s Easy No Bake Fall Desserts because they are not only perfect for the holidays, but they also make you look like a baking pro! Do you have too many cranberries? Try this Easy No-Bake Cranberry Cheesecake dessert from Spaceships and Laser Beams. This no-bake recipe will have to sit overnight in the icebox, I know it’s tempting but leave it there. 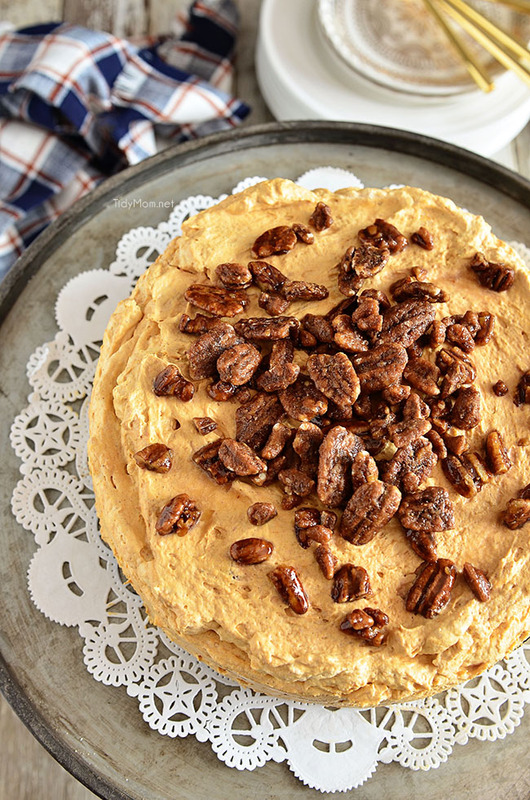 Tidy Mom’s Pumpkin Fluff Icebox Cake will be worth the wait. Continuing on the no-bake trend, Cincy Shopper has a beautiful Peppermint Cheesecake that will add color to any holiday dessert table. 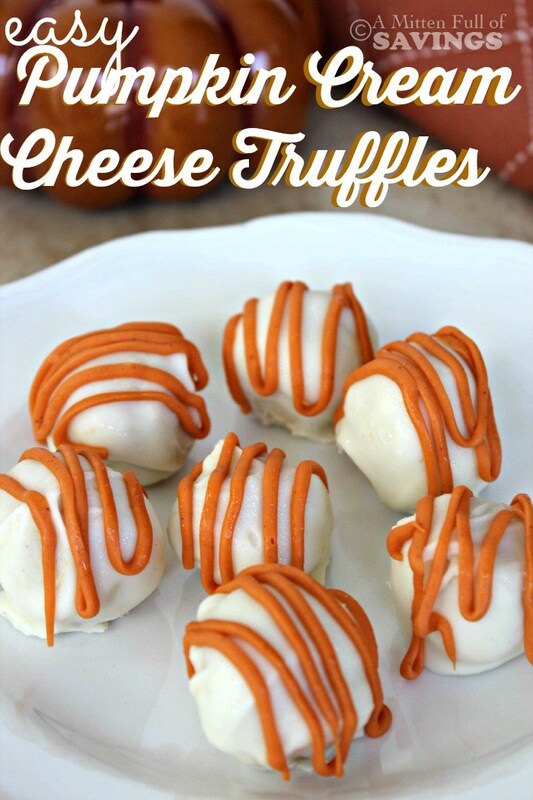 A Worthey Read’s Easy Recipe for Pumpkin Cream Cheese Truffles look like a professional made them, but they are actually really easy! Truffles may have a special place in my heart because they are just so pretty and delicious. Maybe offer a variety of them, including this Chocolate Chip Cookie Dough Truffle from Suburbia Unwrapped. Okay, I promise this is the last truffle recipe, but they look so amazing! 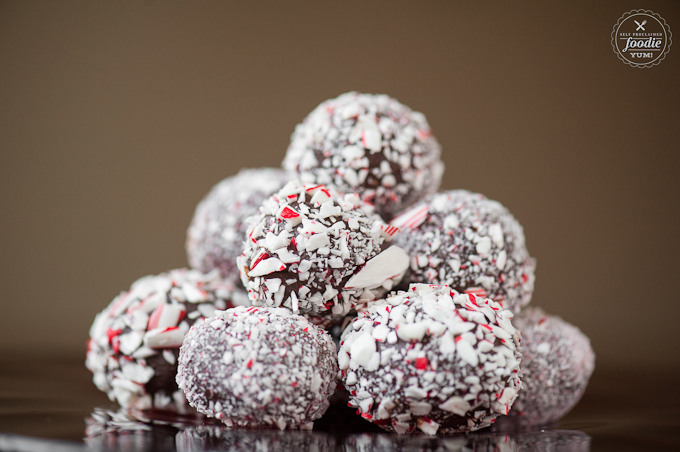 Self-Proclaimed Foodie has these incredible Candy Cane Chocolate Truffles that look like they were made by a high-end chocolatier. Create an amazing dessert centerpiece with this Pumpkin Spice Bundt Cake from Passion for Savings. 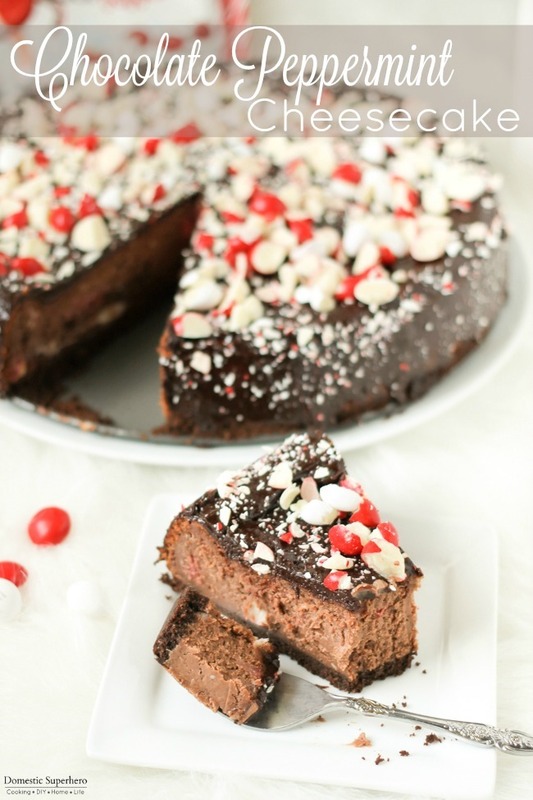 Just hear me out…Chocolate Peppermint Cheesecake with Chocolate Ganache. Yes, I’m sold too, thanks, Domestic Superhero! Skip the corn syrup with this Easy Pecan Pie recipe from Spend with Pennies. Put those extra candy canes to work with these Easy Christmas Tree Brownies by One Little Project. They are so festive and look like they came out of a bakery! 5-Minute Skinny Apple Tarts…5 MINUTES! Just check it out for yourself over at Julie Blanner. 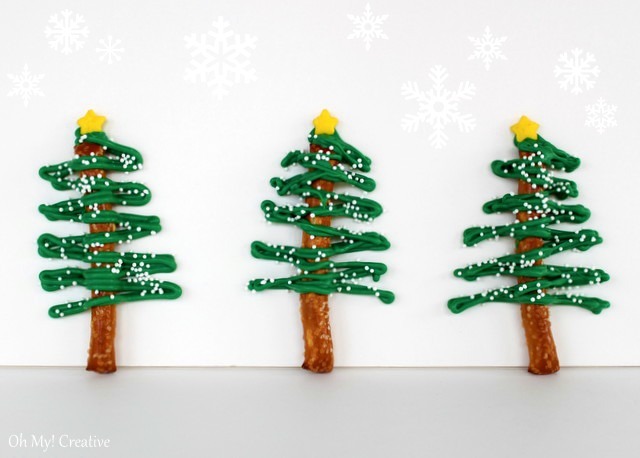 So, although this Chocolate Pretzel Christmas Tree recipe by OHMY! Creative isn’t totally a dessert, it would compliment the sweets display beautifully. 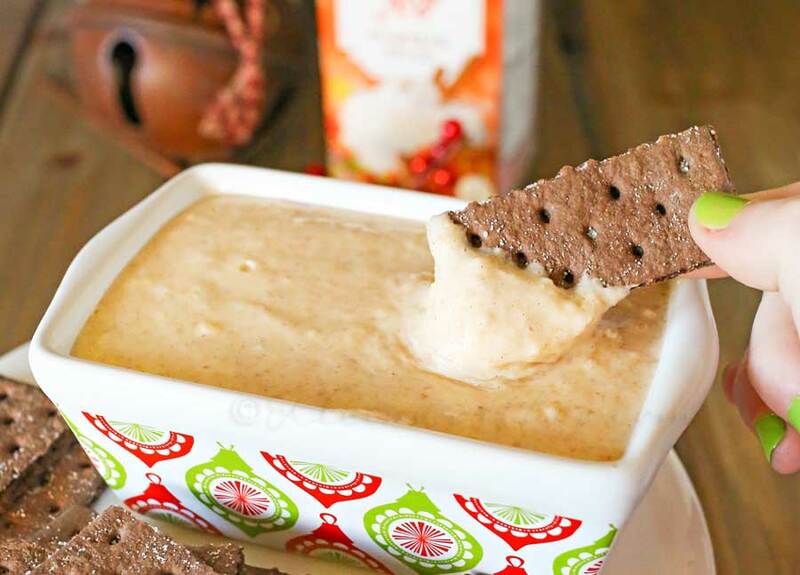 Try something different with this 10 minute Dairy-Free Eggnog Dip from Kleinworth & Co. This recipe gives your dessert table some variety. With a touch of mocha and peppermint, this cookie recipe from Kenarry, is definitely going to be a crowd pleaser. In a rush and need something for a holiday potluck at work? 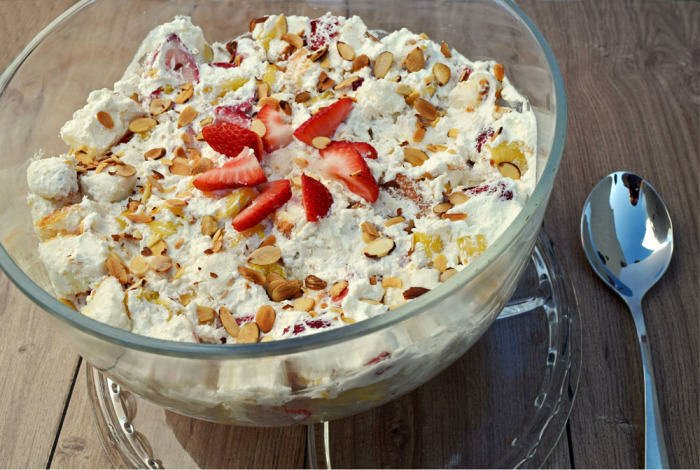 This Easy Potluck Punch Bowl Cake by Craving Some Creativity might be the perfect option. Need something for kiddos? Kelly Stillwell’s Easy Snowman Cupcakes will absolutely be a hit. 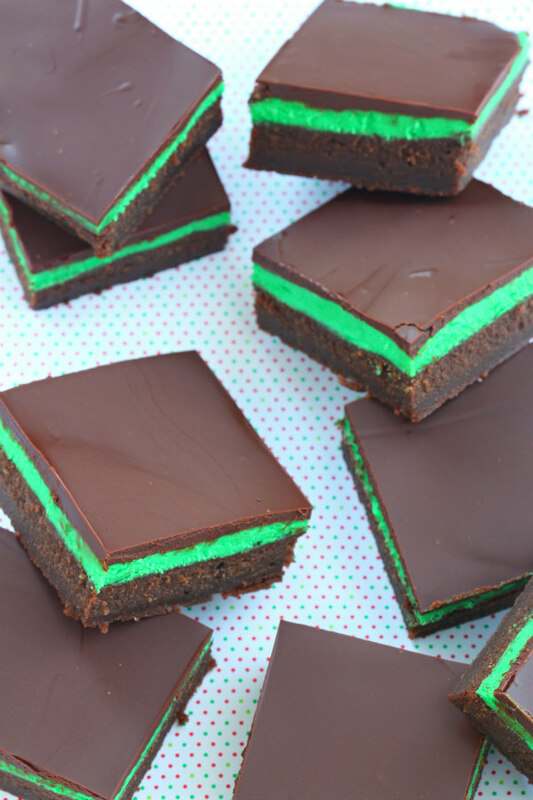 These Mint Chocolate Squares from Recipe Girl look incredible and only take 25 minutes. Enjoy! 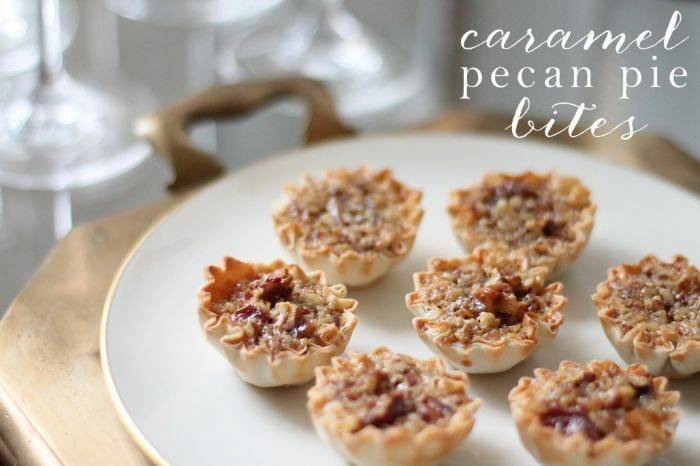 This Caramel Pecan Pie Bites recipe from Julie Blanner looks so good and only 21 minutes total between prep and baking. I hope you found a few recipes to make your holiday dinner planning a little easier. 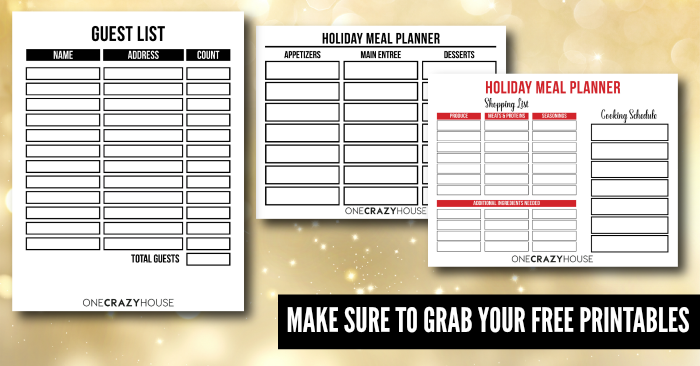 If you haven’t grabbed your FREE printables for the holidays make sure you click the image below to get your own copy.